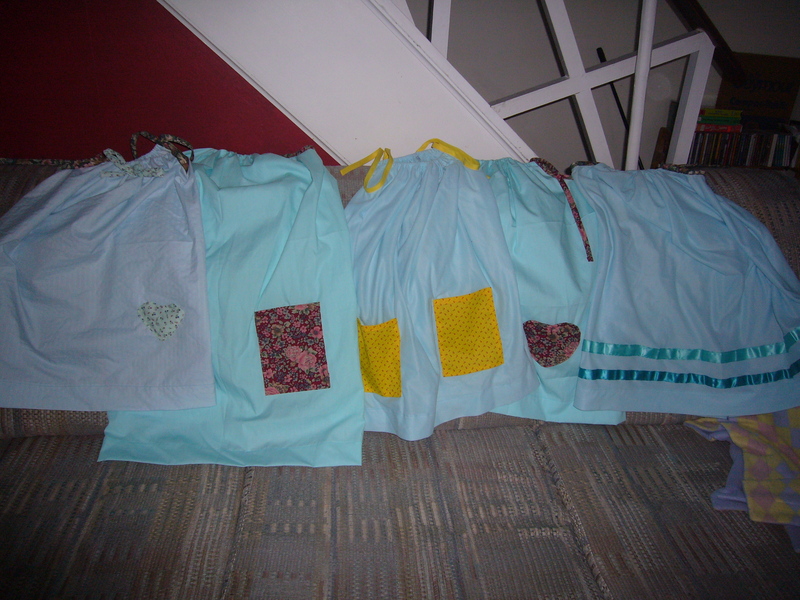 I’ve been working on the dresses for several weeks now, but I just finished 5 on Saturday. I have many more cut out and some partially sewn. By the time Karen leaves for Africa I will have (hopefully) finished 30 dresses.